• There are 320 rooms and suites. • The Cellar restaurant, and a bar. • Terrace, an outdoor pool and indoor pool, a sauna, a fitness center, a spa, a massage, and a hot tub. 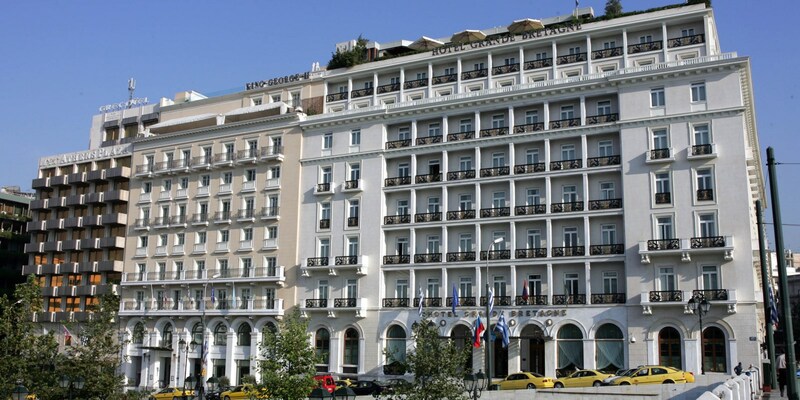 • Hotel Grande Bretagne across from Constitution Square and the House of Parliament. • 1936: Opening of the King George Palace. King George was one of the first hotel guests. • 2013: Renovation of the Palace. • 1994: CIGA (Compagnia Italiana Grandi Alberghi, or Italian Grand Hotels Company), an Italian hotel chain, was bought by ITC Sheraton. As a result the Luxury Collection brand was created.